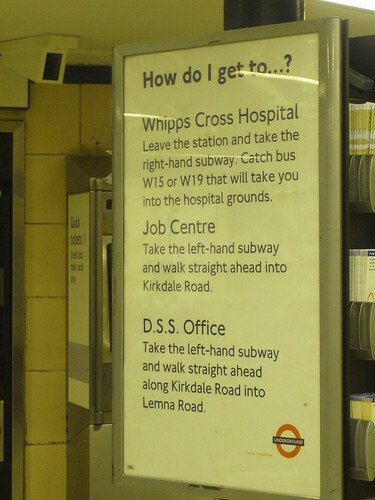 I'm lucky living in Kew and working in the West End, as if I see any "How to get to" signs at my London Underground stations they're to nice places like Kew Gardens or tourist spots or theatres. 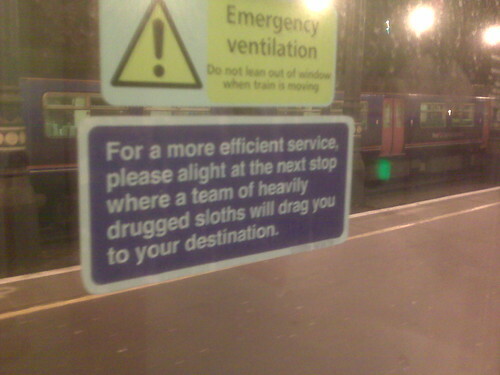 So I felt for nicasaurusrex who saw the following sign on when leaving Leytonstone Tube station. As she said "Leytonstone didn't exactly fill me with hope." 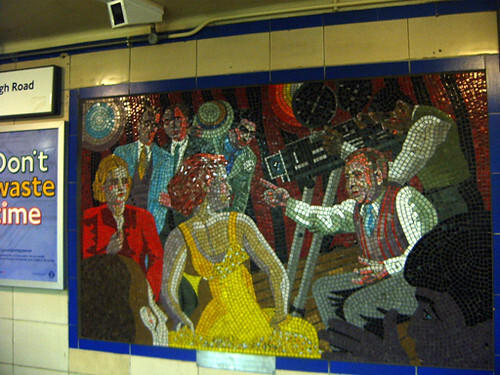 But on the plus side it does have a series of wonderful Hitchcock mosaics, albeit in the badly lit underpass. Perhaps the staff at the Tube could have added a note to have a look at those mosaics on the way, to brighten up your walk to the job centre, hospital or benefits office. With loads of delays yesterday on the District Line & Jubilee Line and the Piccadilly Line being partially suspended this morning, it's kind of ironic to hear that the London Underground has been named Best Metro in Europe in recent industry awards. The Tube beat the systems in Paris, Madrid, Berlin and Copenhagen to pick up the award which recognises "the efforts, accomplishments, and positive contributions of companies and individuals in the mass transit industry." Boris Johnson took this as an opportunity to say "The London Underground is the artery through which the lifeblood of London flows. It is tremendous news London's Tube team have been named champions of Europe. "Despite the challenges of weekend engineering works, Londoners know the value of the Tube and why we are investing billions to improve it." Looking at the judging panel, perhaps it was actually a small group of Londoners who did vote for the Tube. Maybe they change the nationality of the judging panel each year, but it seems a little biased in that everyone from the panel is from the UK. Although we've been reassured that "If an instance occurs where a judge is also a representative of a nominated company or has a relationship with a nominated company which may affect their ability to be impartial, that particular judge will not submit scores for that category." Best Passenger Experience went to Seoul Metro and the Warsaw Metro picked up a Special Merit Award for Commitment to the Environment. How well do you know Zone 1? 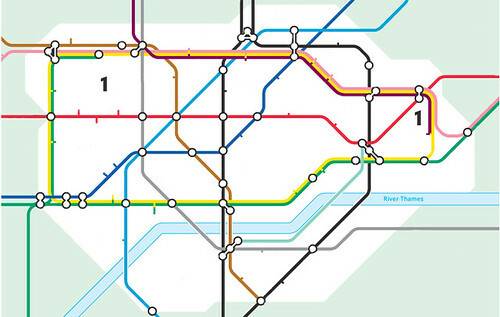 If you've got a spare 10 minutes today, see how many zone one London Underground stations you can name. Jaki sent me a quiz which is surprisingly harder than it looks. Mainly because you have to be a pretty fast typist & the count down added to make me more fingers & thumbs (thumb tied?) on the keyboard than usual. On Wednesday night a gang of youths threw bricks and rocks at eleven passing London Underground trains on the Central Line in the Acton area. Fortunately no commuters or staff were hurt, but several windows were smashed with, the affected trains taken out of service as a result. British Transport Police (BTP) are investigating the "reckless vandalism", which follows a number of previous attacks on the same line. They said "This was a reckless act of vandalism and I cannot emphasise strongly enough the dangers associated with this type of crime." John F who gave me the heads up to this story said "I just cannot fathom what goes through someone's mind that they think it's okay to vandalise a moving train as it's passing by them - especially by doing something so dangerous as throwing bricks at it!" Apparently the attack went on for two hours! I find it amazing that the police weren't on the scene much faster to stop this. In this case I really have sympathy for the train drivers' union ASLEF. Steve Grant, London district secretary, said: "This was a very serious attack. We could easily have had passengers or staff seriously injured or even killed. "Security must be stepped up. If not I will order our members to withdraw their services on safety grounds for passengers and their own sakes." Thanks to Terence Eden who spotted the following sign at Paddington London Underground station. I love any attempt to make the London Underground look like it's run by humans. The sad face with the raised eyebrows is a nice way of showing remorse & surprise at the faulty communication equipment. As part of the London Transport Museum's Friday Lates, on the evening of the 24th April they're holding a celebration in honour of people who commute into Waterloo Station every day. I used to be one many thousands of commuters from the suburbs into Waterloo. Then I also got the Waterloo & City Line or The Drain to Bank and then headed off even further east. "Saint Etienne's Bob Stanley will be spinning sounds from the suburbs, the city and beyond. Screenings of John Schlesinger's Terminus and This is Tomorrow, a collaboration between film-maker Paul Kelly and Saint Etienne will form the Waterloo backdrop." The event takes place at the London Transport Museum at the Covent Garden Piazza and doors open at 6.30pm. Admission is £8.00 for adults & a fiver for concessions/students. You can book & get more details here. Waterloo's a funny old station and has that clear mix of loads of tourists (even more so when the Eurostar was there) & regular commuters dodging the suitcases & rucksacks who've dealt with a overland rail journey & then have to battle with a crowded London Underground ride. You're in a completely different mind set using it as tourist as to when you are in auto pilot mode trying to get to & from work. As I live nearer Waterloo than King's Cross, I was sorry to see the Eurostar move & all the boarded up section there looks kind of sad. Does anyone know what will be happening to that area now? 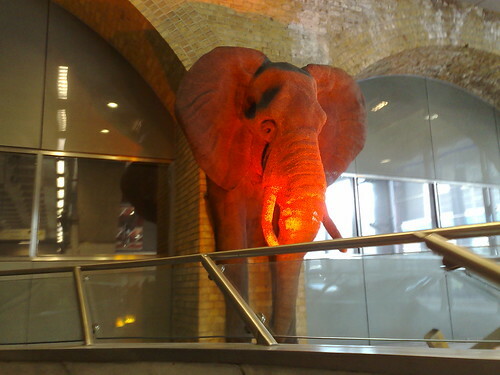 Also what's the deal with that elephant bursting out of Waterloo Tube station at the entrance of the Jubilee Line? I can't say I've ever noticed a plaque about it and I can't see any geographical significance for an elephant being there. Maybe there's a historical one? 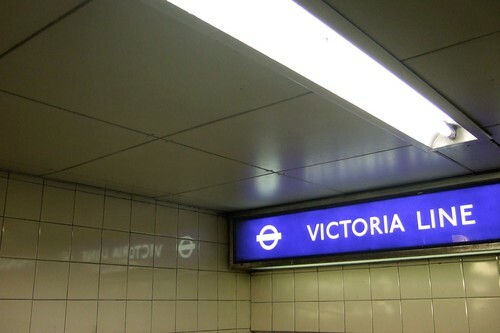 From 9pm tonight, 21st April, around 180 drivers on the Victoria Line will walk out in a row over door safety equipment, bullying and harassment. Workers from the Seven Sisters London Underground depot in north London are taking part in the strike. RMT union members claim the Tube trains on this line need safety features to prevent doors from opening on the wrong side. Bob Crow from the RMT said "There can be no excuse for the failure to install Correct Door Side Enabling Equipment. It is operational on all other sections of the Underground and this dangerous penny-pinching on the Victoria Line puts both our members and the general public at risk." As far as the bullying is concerned, the 24 hour strike is also over the demand for the reinstatement of a sacked train driver, the end to victimisation of an RMT activist and an end to management misuse of attendance and disciplinary procedures. Bob Crow made the usual noises about being open for discussion, so there's a chance it might be called off. He said "RMT remains available for talks and we hope that management will see sense and take the necessary steps to resolve this dispute." Transport for London said the industrial action was "completely unnecessary", and continued: "London Underground believes these issues can be resolved by further discussion. There are procedures in place to deal with these kinds of issues and we ask RMT to return to the negotiating table. "LU will seek to run the best service possible, but customers are advised to check before they travel and seek alternative travel where necessary." 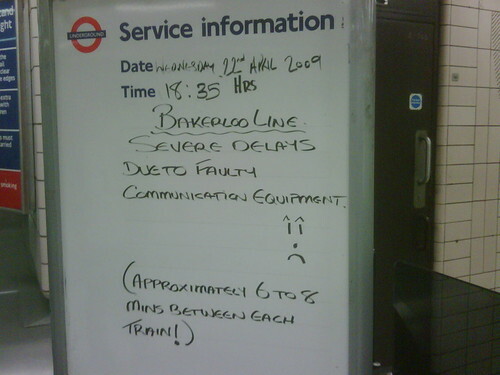 Update - 22nd April - The strike on the Victoria Line is on. As mentioned above, TfL is advising people to seek alternative travel wherever possible. However, South West Trains are accepting London Underground tickets between Vauxhall and Waterloo. 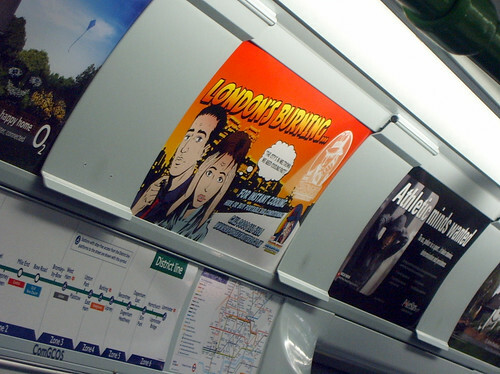 London buses & London Overground are also accepting tickets via reasonable routes. Check TfL's website for the latest. Cheering to see commuters on the New York subway suffer the same experiences as us. I've been sent a number of spoof signs & stickers on the London Underground or trains and Feeling Listless spotted this sign from the Gothamist, who called it "a passive aggressive masterpiece"
In addition to all the pedantic smart arses "sucking the life out" of the sign by spotting the grammatical errors, many of the commenters generally think it's accurate. 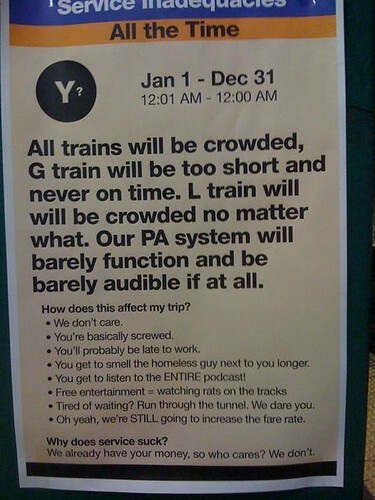 "This is the first 100% accurate MTA advisory I've ever read." said Polite New Yorker. In fact another commenter says the grammar "makes the sign all the more MTA authentic"
Perhaps the Tube should put signs like these up rather than making comments about stopped clocks as their next April Fool. Problem is that most people would take them seriously or at least think - "Well for once they're being honest". 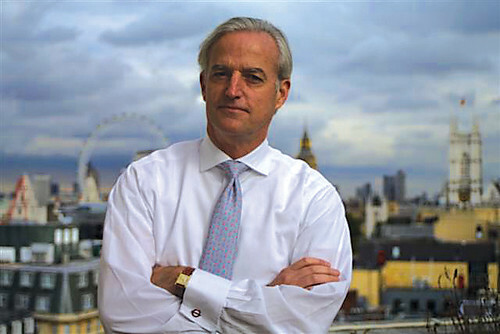 Tim O'Toole, the London Underground's Managing Director, resigned in February and leaves at the end of April. Not sure what his real exit interview with LU will be like (if indeed he has one) but he gave an exclusive interview with the Evening Standard today, where he warned that the Public Private Partnership to refurbish the Tube could collapse. "So many things about the PPP were wrong," he said. "Separating the track from the infrastructure was wrong. "The theory was that these private companies would come in and introduce all this innovation but fundamentally we have not had the level of innovation that justifies the extra cost of the PPP." There is a massive gap of around £2 billion between the amount available to pay for the work up to 2017 and Tube Lines assessment of how much it needs. He also warned that the short term disruptions we're experiencing with the refurbs are likely to get worse & lead to more weekend closures as new signalling systems are introduced. "The way the PPP was structured, it encouraged these closures," he continued. "In Madrid, they overlay a new signalling system and can turn it on and off during testing." However he's hopeful that this might possibly improve in the future particularly when we see the new Piccadilly Line resignalling in the mid 2010's. He rightly acknowledges that weekend closure of the this line would be a nightmare "The Piccadilly is London's artery at weekends with Harrods, football, the airport and the West End. There must be an alternative way of doing it." It's good to see The Standard acknowledging O'Toole's popularity with Tube staff. "You only have to travel on the Tube with him to see that the staff both recognise and respect him, as they all greet him. 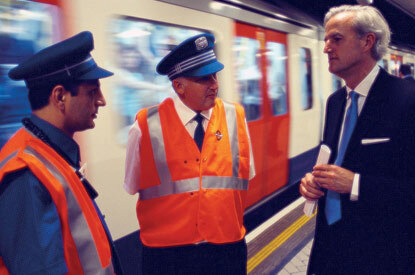 He was fortunate that due to the delay in handing over the Underground to Transport for London, he spent his first five months in London touring the system meeting staff and passengers. Some of his innovations, such as having boards with information on every line at each station are a result of that experience. He is proudest of the way that he has managed to engage with the 13,000 staff (with another 7,000 having arrived recently from Metronet) and, though he does not say it, that has enabled him to go over the heads of the troublesome trade unions." 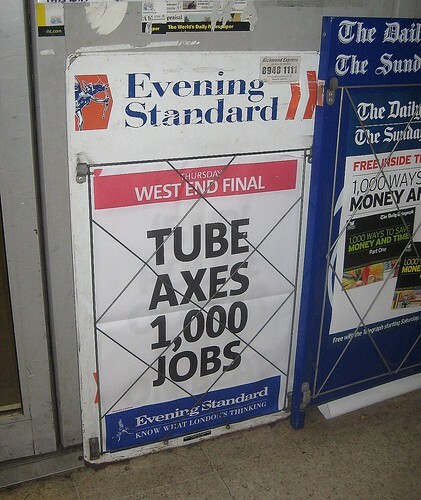 I'm not sure that there's only been one strike in the six years he's run the Underground, as the Standard says. But his continual communication with staff must make confrontation hard & the many threats of strikes eventually end up with resolution. 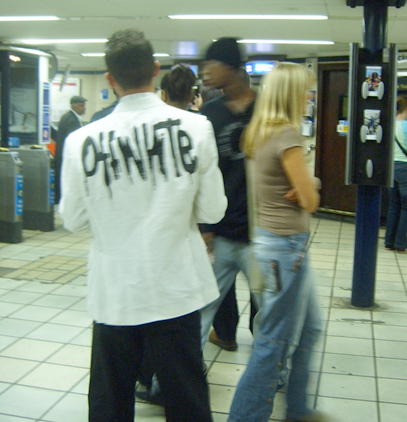 He may be leaving too late to do anything about the latest dispute, but he'll clearly be missed (getting the Tube running after the 7th July bombs in 2005 was a highlight of his career) and it will take a special person to fill his shoes. Let's hope London Underground choose wisely, as it's a crucial time for the Tube & somehow that £2bn gap in funding will have to be resolved. This morning I saw my first ad running down the middle of the escalators at Tottenham Court Road London Underground station. As you can see from the hastily caught shot, I don't mean on the escalators steps themselves, but on the middle section - the bit that drunken guys occasionally try to slide down. It's an ad for the film Wolverine and shows Wolverine's claw marks running the length of the escalator, as though he'd been having a try at drunkenly sliding down it himself. 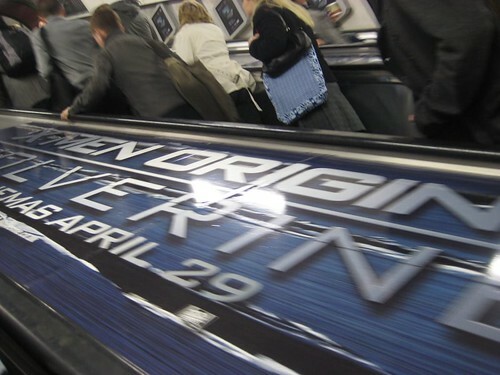 It's funny that there haven't been more inventive uses of escalator ads on the Tube. 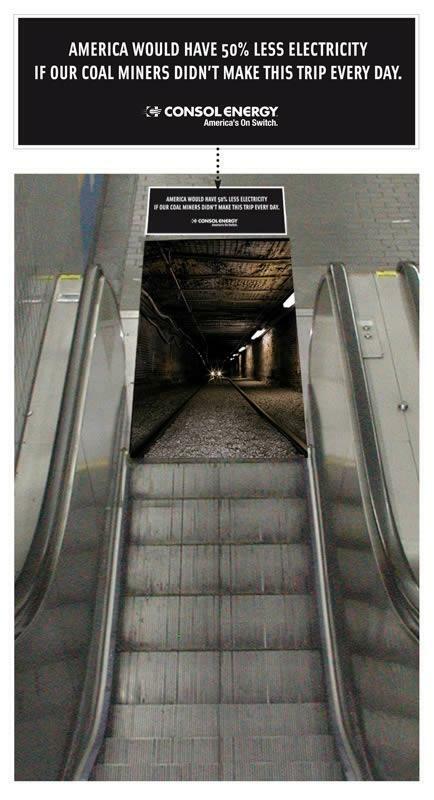 This became more apparent as I came across a blog post the other day dedicated to creative escalator ads. Three of my favourites are below. 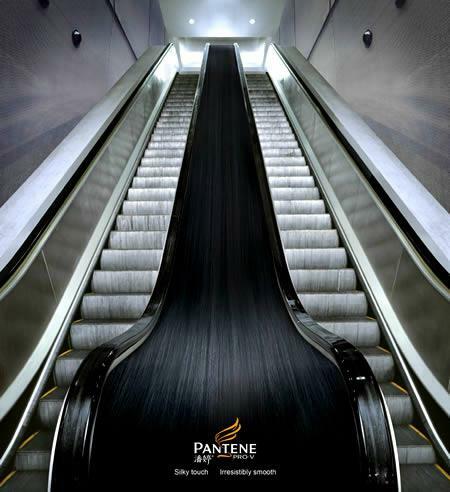 One for Pantene uses the middle section like Wolverine. Another hair related one used the teeth on the escalator to try to mirror the teeth on a comb for a Head & Shoulders ad. There's also a pretty scary one for American coal miners where it looks like you might be falling into a huge pit at the end of your journey. 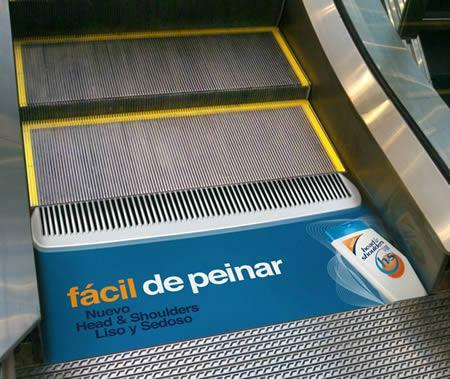 Shame we're not as creative with our escalator adverts as advertising agencies overseas. At time of writing it doesn't seem particularly warm, but forecasters are predicting the warmest day of the year in London so far. So it's kind of timely that yesterday TfL announced that Mansell Construction Services have won a £6 million contract to improve ventilation on the London Underground. "The Balfour Beatty subsidiary beat three other bidders to clinch a design and construction deal relating to the upgrade of mid-tunnel ventilation shafts along the Victoria Line." said Transport Briefing. 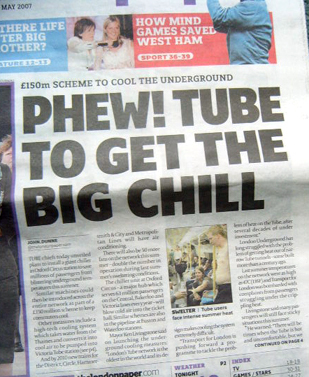 Last year a special project team was set up - the "Cooling The Tube Programme" as potentially dangerous temperatures were recorded on the Underground network during the summer months. Both Ianvisits (who gave me the heads up on this) and Pete from the Londoneer went along to a lecture about the difficulties involved in keep the Tube cool. However, when Metronet collapsed, the budget for the cooling programme looked like it was going to be hit. Maybe the £6 million is part of the £150 million that was reported to be spent on cooling the Tube a couple of years ago. Who knows? But at least yesterday's contract is a step in the right direction. The Victoria Line upgrade work is continuing with the ground water cooling scheme at Victoria Tube station & the upgrade of the ventilation shafts should double ventilation capability. Also London Underground will introduce air-conditioned trains on the Hammersmith and City, Metropolitan, District & Circle, District lines as part of an upgrade to the sub-surface lines. Nothing currently reported about cooling the rest of the lines, so you might have to carry on with your own methods of keeping cool - including the inventive use of home made foam board fans below. "The Trade Union and Labour Relations Act requires a union to specify the number of employees to be balloted at each workplace. "However, it was unclear in a number of cases if the RMT was referring to a station, train depot or office location, or all three. "We had asked the union to assist in establishing a clear picture of the workplaces and number of RMT members that were balloted at each location." said a spokesperson at London Underground. Obviously, RMT General Secretary Bob Crow is up in arms about this and has called it an "outrage". He said "Our members have given their overwhelming verdict on LUL's plans to cut jobs and pay, but Tube bosses have used anti-union laws to thwart their democratic will. LUL's lawyers have leapt on minor discrepancies that cannot possibly have affected the outcome of the ballot." The letter appears to have made Crow more bullish than ever and determined to get even more members out to vote: "The facts remain that LUL and TfL want to axe as many as 3,000 jobs and are looking for pay cuts in order to make our members pay for a crisis that is not of their making when their productivity is at an all-time high. "The only possible response is to re-run the ballots as swiftly as we can and to urge our members to vent their frustration and anger by returning even bigger majorities for action". So looks like we'll have to wait a few more weeks to see whether the staff will be going on strike. 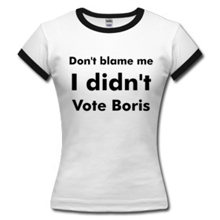 Unless, that is, TfL & LUL decide to challenge the re-run of the ballot! 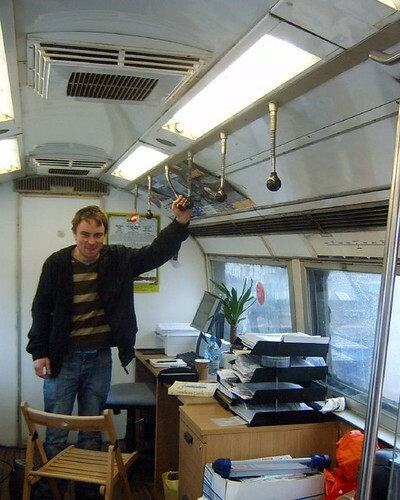 Regular readers will remember my first visit to the amazing offices in Great Eastern Street in the City, made from old Jubilee Line London Underground carriages. My colleague at work told me that at Current, one of our users had made a film of how the carriages got up into the air. I will see if I can arrange another visit to see my friend James Grieve (above), whose theatre company, Nabokov have their office up there. He was game for a few other people coming to, so let me know if you're interested and I'll see what I can do. The place always has a massive queue for it during London's Open House weekend and the views on the clear day are pretty stunning. 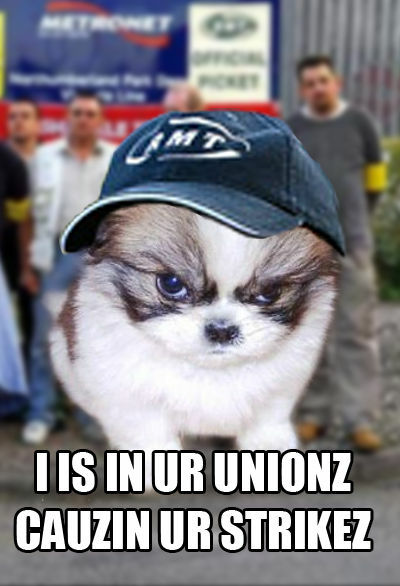 Just heard that RMT members at seven stations on the Jubilee Line are going on strike tomorrow, after London Underground after failed to take seriously complaints of intimidation and bullying. From 18:59 on Wednesday 8th April to 18:58 on Thursday 9th April station staff at Willesden Green, Dollis Hill, Kilburn, West Hampstead, Finchley Road, Swiss Cottage and St John's Wood will not be booking in for shifts. Bob Crow from the RMT said "There has been a surge in complaints about the complete disregard of attendance and disciplinary procedures at this station group, but LUL has so far buried its head in the sand. Our local reps have been unable to make any headway locally in dealing with blatant bullying, and the strike vote makes clear that our members have had enough. Apparently the manager who's accused of bullying was moved from another location after similar complaints almost led to strikes in 2004, but the RMT believe that senior management are now backing him. Crow continued: "We are even hearing reports that LUL has been threatening new starters with the sack if they take strike action. That is illegal, and LUL knows it. "We are available for talks to sort this problem out, but blatantly bullying management is not acceptable". Thanks to Ianvisits for the heads up on this and if you're travelling on any of those stations from tomorrow night, be prepared for disruption in your journey, unless it gets called off in the meantime. 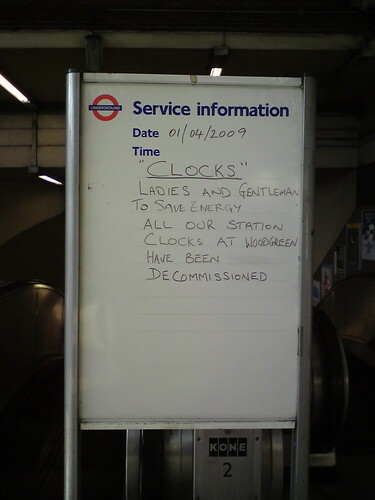 This may have been someone's idea of an April Fool (if so it wasn't a very good one), but apparently all the clocks at Wood Green London Underground station have been de-commissioned to "save energy". Martin Deutsch noticed this sign last week and said "Whether or not this is the real reason, the clocks are all out of action, and have little stickers on them saying they're out of service, awaiting removal." I wonder how much electricity a few clocks actually use up? Maybe Wood Green station covered in clocks? Surely there's some other reason for the clocks being removed. Perhaps it was the maintenance required in keeping them all working. Why de-commission all the clocks and not just leave a couple up. Maybe there's a more sinister plan in not wanting the commuters at that station to know the time. One day we might arrive at our own local Tube station and find that a broken clock isn't repaired. Then the next week, another clock will be taken out of service & gradually there will be no time on the London Underground and we'll be dependant on the Tube's own version of time. We all know that London Underground minutes have a life of their own and are actually longer than real time. 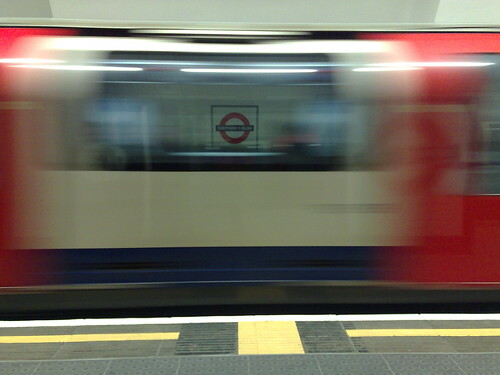 Have you ever timed the countdowns on London Transport and you'll see that 2 minutes to the next train is often longer than two minutes in reality? If anyone knows why this is, or has the answer to the missing clocks at Wood Green station, I'd love to know. Last month the London Underground announced that the Circle Line would be extended to Hammersmith from the end of this year. What wasn't announced was what might happen as those Tube trains will be longer than some station platforms. This week's Private Eye pondered what could take place to cope with the extra capacity, as each train will have seven carriages instead of today's six. "The new trains will be designed so the last or first four doorways, or a combination of both, can stay locked when Circle line platforms are shorter than the new trains. Regular travellers will adapt; but the Circle is heavily used by visitors, many travelling from mainline stations with luggage. What will happen when they realise the train is at their station and the nearest open door is a carriage away along a crowded aisle? Cue mayhem." They've got a point. Occasionally I come into Charing Cross and the Bakerloo Line train there doesn't open just one set of doors. So with more doors not opening, it could be a bit of a scramble for tourists & people may easily stand at the doors waiting for them to open. Especially if they don't understand or hear the announcements properly. Private Eye continued "Platforms aren't LU's only headache. Lots more passengers will change trains at poorly-equipped Edgware Road station. Tracks at Hammersmith station need costly extension for seven carriages. Today many trains are berthed in sidings around around the Circle; unless LU can find big money to extend the sidings for seven carriages, it will waste resources shifting trains to and from sidings in suburban depots. 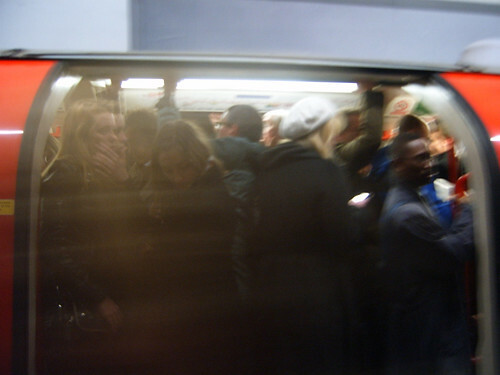 Metronet's promised new signalling for "sub-surface" lines (including also the Metropolitan and District) would have allowed extra trains on the Circle, potentially increasing Circle capacity with six-carriage trains until infrastructure was ready for seven carriages. Installation of new signalling should be happening now, but the contract was scrapped after Metronet went bust." Thanks to Jon Justice for spotting this. 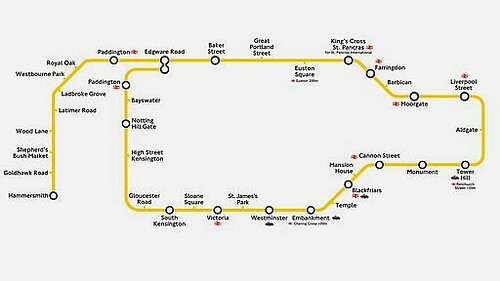 It looks like there's a number of challenges in the Circle Line's transformation, the least of which will be dealing with pedants saying "but it's not a Circle any more", when the changes were announced. If you're a bit of a Tube twitcher you're in luck as TfL and the RSPB have a launched a photographic competition to capture our feathered friends around the London Underground. To enter you need to take some photos of any birds you've spotted within a five minute walk of any Tube station. There are three categories one for adults, one for under 18's and one for TfL and Royal Society for the Protection of Birds (RSPB) staff. Each category winner receives: An annual pass for 2 people to the RSPB reserves, a free family pass to the London Transport Museum, bird books, bird feeders and bird seeds. The competition opens today and closes on the 31st May. Full details are on the Mind The Bird website. Thanks to the fab Tube photographer version-3-point-one for giving me the heads up on this. 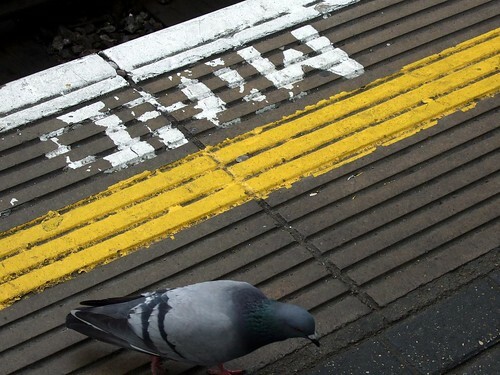 Admittedly I don't look out for a lot of wildlife around Tube stations and most of the birds I see around the London Underground are pigeons. 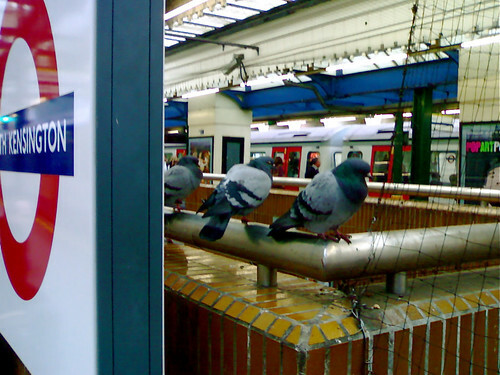 Perhaps I ought to get Brian Pigeon kitted out with a little camera, as he's bound to know where all the cool birds hang out round stations. Regular readers of this blog will have seen posts about the station master cat Tama who improved the fortunes of an unmanned station in Japan. The feline member of staff is now so popular, he's got his own train. It's been, errr, kitted out with 101 illustrations of Tama. Over 10 million yen was donated for the train's renovation. On the opening day the train left Idakiso Station and ran the eight or so kilometers to Wakayama Station, with Tama aboard in the driver's cabin. 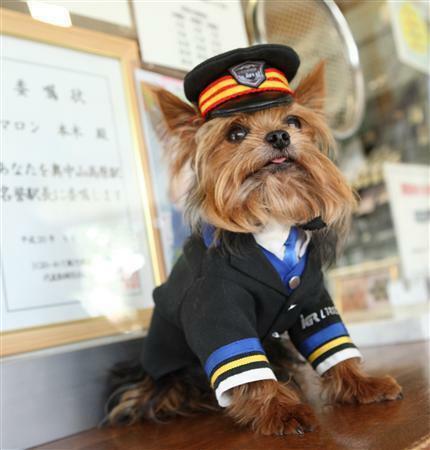 Just wonder when the station master Dog will get his special train too? Thanks to Jon Justice for the image above and the Tama story. Who knows what the Japanese actually do on April Fool's Day? Most of the stories that come out of there make it seem like April Fool's Day every day.